Coretta Scott King sings at a Memphis rally, May 2, 1968, attended by some 8,000 persons kicking off the Poor People's Campaign. She sang "Sweet Little Jesus Boy" which she dedicated to "the memory of my dear husband." 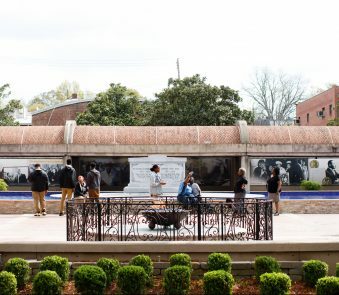 This year, Atlanta — and the world — is remembering the life and legacy of Martin Luther King Jr., as April 4 will be the 50th anniversary of his assassination in Memphis, Tennessee. King was a bold orator and social activist, but he did not work alone. Many advisers, like Ralph Abernathy, organized demonstrations with him, and others like Bayard Rustin schooled him in nonviolence. He also had the support of other ministers at the Southern Christian Leadership Conference, but one cannot overlook the support of his lifelong partner, Coretta Scott King. However, her legacy is one of more than a supporter. After her husband’s death, she carried on his legacy and established one for herself by pressing forward in the fight for civil rights. Coretta Scott was born in Marion, Alabama, on April 27, 1927. Her parents, Obadiah and Bernice McMurray Scott, were farm owners who wanted the best education for their children, according to the King Institute at Stanford University. Coretta attended Lincoln High School in Marion and took an interest in music. She learned numerous instruments and took voice lessons, according to the King Institute. She graduated valedictorian and went on to study music at Antioch College in Yellow Springs, Ohio, according to the King Center in Atlanta. Later, she studied concert singing at Boston’s New England Conservatory on Music and received a degree in voice and violin. In Boston, she met Martin Luther King Jr., who was studying for his doctorate in systematic theology at Boston University, according to the King Center. The couple married on June 18, 1953, and moved to Montgomery, Alabama, in September 1954. Both Coretta and Martin were fully committed to nonviolent social activism and seemed to shape their lives around the cause. 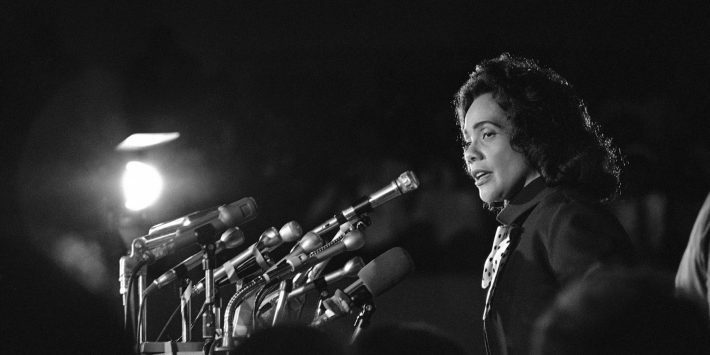 During her husband’s career, Coretta spent much of her time looking after their four children, according to the King Center. She participated in movement work, including speaking before church, college and other advocacy groups. She also used her musical gifts to organize a series of “Freedom Concerts” to raise money for the SCLC. When Martin travelled to Ghana for its Independence Day; India to be visit the followers of Mahatma Ghandi; and Norway to receive the Nobel Peace Prize, Coretta accompanied him. The end of Martin’s life on earth did not mean the end of the movement for Coretta. Only days after her husband’s death, Coretta led a march for sanitation workers in Memphis, Tennessee, according to the King Institute. She stood in for her husband at an anti-Vietnam War rally in New York and helped launch the Poor People’s Campaign in May 1968. In Atlanta, she founded the Martin Luther King Jr. Center for Nonviolent Social Change, also known as the King Center. Around this time is when Reynolds had met Coretta for the first time. Reynolds said Coretta also stood up for her own rights as a woman. Coretta also addressed gay rights. It’s hard to overlook the role that Christianity played in the Kings’ lives. 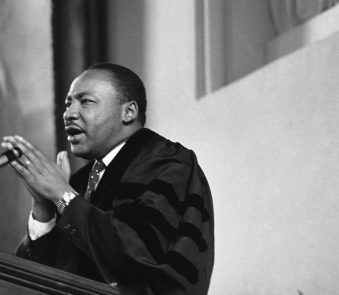 Martin served as a pastor at Dexter Avenue Baptist Church in Montgomery and at Ebenezer Baptist Church in Atlanta. In his book, “Stride Toward Freedom,” he said that “the Christian doctrine of love operating through the Gandhian method of nonviolence was one of the most potent weapons available to oppressed people in their struggle for freedom,” according to the King Institute at Stanford University. Coretta was a strong Christian as well, according to Reynolds. At the time that Reynolds met Coretta, Reynolds said she was not that much of a Christian, but Coretta ended up becoming her mentor. 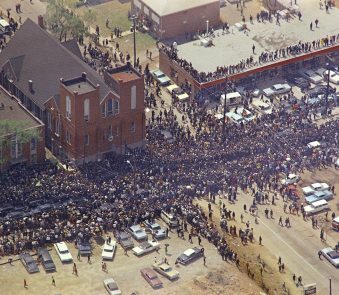 After Martin’s death, civil rights laws were passed and the climate in the South began to change, Reynolds said.